Highlights from the Sky Bet League 1 fixture between Sheffield United and Shrewsbury. Sheffield United have now gone five Sky Bet League One games without a win after Shrewsbury stunned them 4-2 at Bramall Lane. 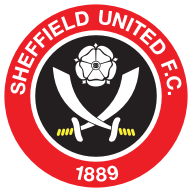 Conor Sammon broke the deadlock in the 17th minute when he added the finishing touch to a piercing pass from Jose Baxter, but that was as good as it got for the Blades with the visitors seizing control thereafter. Crystal Palace loanee Sullay Kaikai kicked off the fightback, cutting in from the left hand side and unleashing an unstoppable shot into the top corner of George Long's goal. Moments later, United failed to clear and Ian Black was on hand to fire home his side's second. 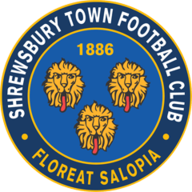 As the home crowd's discontent grew, Shrewsbury furthered United's woes as Scott Vernon was left with an easy tap in after 35 minutes following neat play by Kaikai and Junior Brown on the left hand side. Shrewsbury continued their good work after the break, with captain James Collins finishing off a swift counter attack after 48 minutes. A well-placed header from Dean Hammond in the 65th minute proved to be a mere consolation for the shell-shocked hosts.